Racheal is the 19-year-old daughter of Tom and Sandy Lampo of Thornton. She is currently a freshman at Regis University in Denver where she is majoring in nursing with a minor in psychology. In her spare time, Racheal enjoys riding horses, dancing on the Regis University Spirit Team, and spending time with her friends and family. She is also a proud recipient of the Daniels Fund Scholarship, which is allowing her to pursue her dreams of becoming a nurse. In the future, Racheal would like to become a nurse anesthetist and hopefully run for the coveted title of Miss Rodeo Colorado. 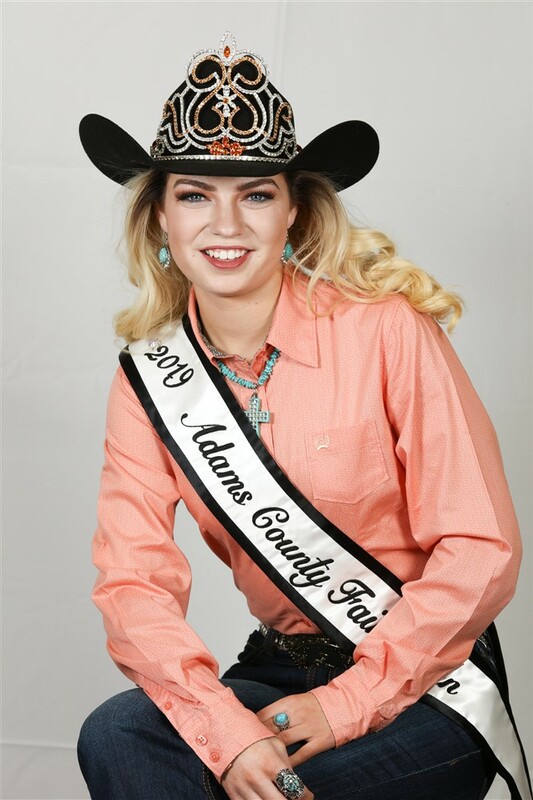 As someone who has attended the fair for as long as she can remember, Racheal believes that no summer can be complete without an adventure at the Adams County Fair. She is thrilled to spend another year promoting this great event and invites you to join her July 31-August 4! Mandy is the 20 year old daughter of Monte and Jeanette McCormick of Bennett. She is a graduate of Bennett High School where she was involved in Future Farmers of America on the executive committee and held the offices of reporter and historian. Mandy was a 5-year member of the Dry Creek 4-H club where she showed horses and was an active member of the Comanche Crossing Horseman’s Association. Mandy is a partner in her family-owned business and farming operations. Her future plans include earning her degree in agriculture management as the 5th generation to be part of agriculture. In her spare time she can be found raising her bottle calves, showing her horse, and spending time with her family. The fair holds many wonderful adventures and memories for her. She is delighted to promote the fair and activities it holds. She hopes you will open the doors and join her and Racheal in the adventures July 31-August 4. The Adams County Fair Royalty Program Clinic will be held this fall at the Regional Park Complex on Saturday, Sept. 14. For more information on attending this event, please call Mary Willis at 303.637.8002. 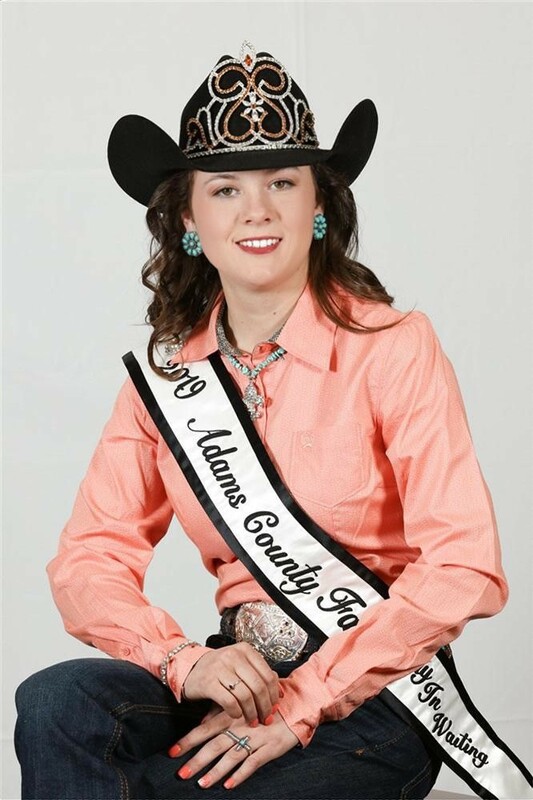 If you plan to compete for the 2020 title of Adams County Fair Lady-in-Waiting, this royalty clinic is mandatory. The 2020 competition will be held at the Regional Park Complex on Saturday, Sept. 28.